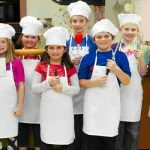 Metro Detroit birthday party places for kids – The best birthday party packages and places for kids birthday parties in Michigan! 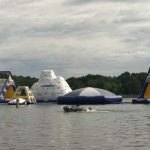 This page also features birthday party rental places for inflatables and catering and even birthday party companies that bring the party to your house or venue. The 93,000 PLUS square foot multi-purpose dome offers awesome sports birthday parties for kids! 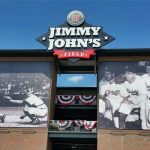 Choose from bounchouse, baseball, softball, batting cages, dodgeball, flag football, or kickball parties. Parties come with a personal party host who will take care of all the arrangements and add-on! Details. 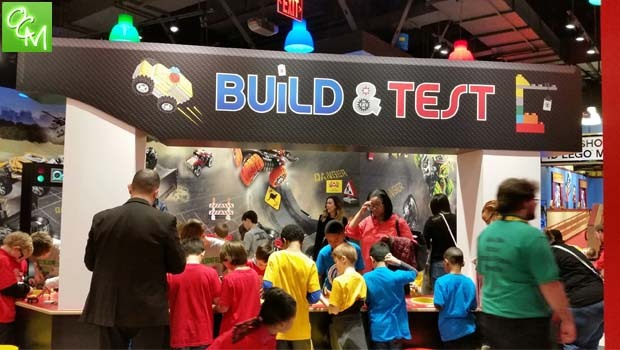 LEGOLAND Discovery Center Michigan at Great Lakes Crossing Outlets offers their 32,000 square foot fun zone for their parties and offer 3 different party packages! Your child and their friends can enjoy the LEGOLAND 4D cinema, LEGO rides, LEGO building stations, and even learn LEGO building tips from the experts! Details. 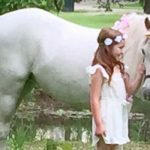 2 hour Metro Detroit birthday party and party packages – the first hour can be for either the gym party or the pool for a birthday pool party with a waterslide. The 2nd hour is for celebrating in a party room with a complete kitchen. Birthday party review. North Oakland Family YMCA review. 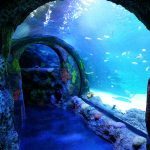 SEA LIFE Michigan Birthday Party packages offer FREE Annual passes, a FREE Goody Bag, party room access, party games, and more! Party goers will explore the 35,000 sq feet of indoor aquarium and have exciting, close-up experiences! Details. 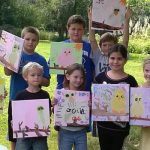 Enjoy nature-themed birthday parties for kids ages 4-12 at Wint Nature Center inside Independence Oaks County Park. 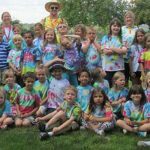 Each Oakland County Parks birthday party package includes a nature theme, game, nature craft, or hike. 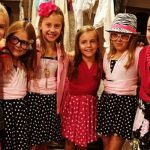 School of Rock Farmington hosts birthday rock star parties for rock star kids, pre-teens and teens! 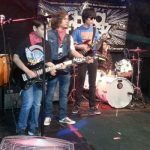 3 hours long for kids ages 8+, School of Rock professional instructors & staff teach the party (regardless of music experience) how to sing & perform songs. School of Rock parties also feature tons of rock star swag & fun! Sloan Museum hosts fun and educational events year-round that engage kids in regional history, automobiles, science, astronomy and more! Sloan Museum and Longway Planetarium birthday parties can accommodate any size party – big or small! They even host theme parties, star shows, and laser shows! Review and pics. 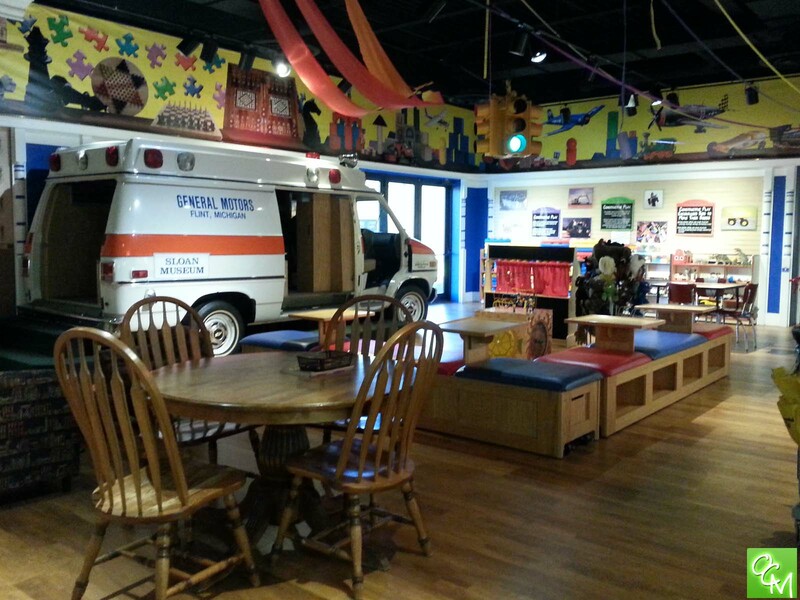 Pee Wee Patch offers a birthday party room full of decorations, food, cake and decorations! They even take care of the set-up and clean-up. Pee Wee Patch also offers Birthday Party rentals. You can rent bounce houses, popcorn machines, tables, chairs, a splash pad and more! 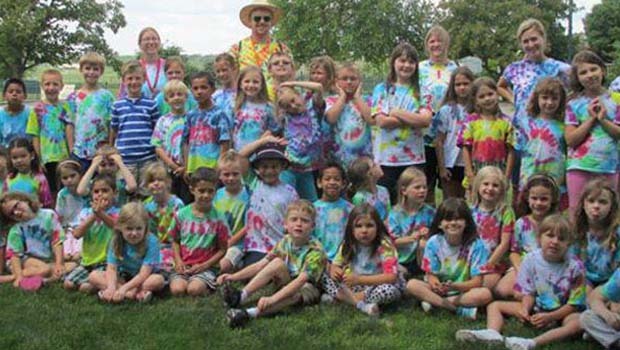 Pee Wee Patch serves Lake Orion area familes with kids ages 0-12. 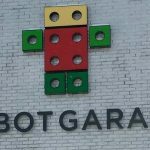 A great Metro Detroit birthday party place for younger kids! Let fLipSpot’s party coordinator take care of all the work while the birthday boy or girl and friends rollick in fLipSpot’s HUGE gym. fLipSpot takes care of the food, the cake, the party room, the decorations, and the fun! Throw an awesome party at this beautiful flex event location or let The Event Place party experts customize a fun theme for your next event. The Event Place in Downtown Lake Orion hosts ALL types of parties and events. All parties include full set-up and clean-up! 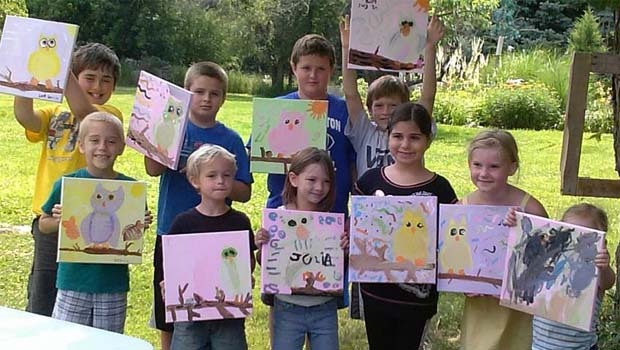 Enjoy nature-themed birthday parties for kids ages 4-12. Each Oakland County Parks birthday party package includes a nature theme, game, nature craft, or hike. 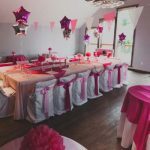 Kimberella Parties offers full-service hosted parties that include all the detail planning, invitations, extravagant table set-up and decor, personalized birthday party favors, delectable cakes and goodies, photography, characters, and so much more. They even take care of the clean-up and thank you cards. The birthday party themes range from princess tea parties for girls, spa-tacular, and glamour girls to safari jungle and the wild, wild west. 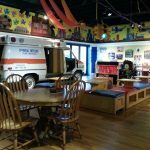 In addition to full-service Metro Detroit birthday party hosted parties, Kimberella Parties also offer character bookings and equipment rental. Play 1st Mobile Gaming is a rig loaded with video games that travels to your party! Play 1st is the ultimate video game birthday party for teens and pre teens! Play 1st comes loaded with Xbox 360, Xbox Kinect, Playstation and Wii games for your birthday party! Review and pics. 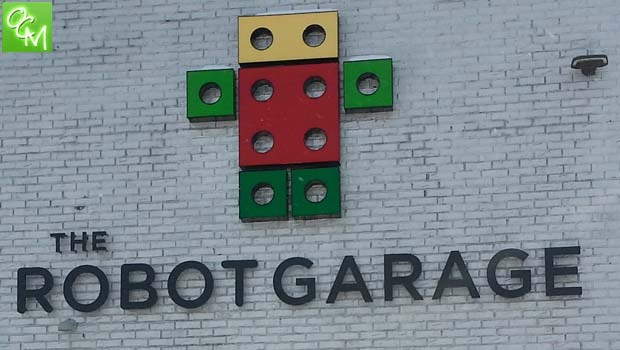 Robotics, along with video game truck, portable laser tag, human hamster balls, a real life version of Angry Birds, candy altcannon and much more directly to people’s doorstep to make sure their child’s next birthday party, Bar/Bat Mitzvah or teen graduation party is the talk of the town. They have great indoor and outdoor birthday and party game rentals no matter what the weather. Your backyard and your location can be the ultimate Metro Detroit birthday party places. 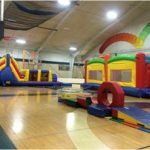 Oakland County Parks rents inflatable bouncers, bounce houses, retro games, their famous climbing tower climbing wall and more for any size party in Metro Detroit, Michigan. Choose from different party packages. 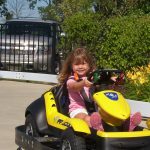 Oakland County Parks Mobile Recreation units bring the fun to you! They even rent stages for civic events, church parties and other large celebrations. Starting with your own private hostess and decorated party room to the birthday cake and clean up, they do it all so you can enjoy the party. This immaculate 10-acre Metro Detroit birthday party facility offers a spectrum of fun for the whole family. 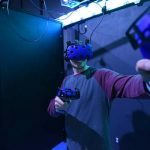 From high-tech laser tag to a magical black light super game room, a full-food court, the thrill of Daytona-style go karting, climbing walls, soccer cages, miniature golf and a world class trampoline center – this is paradise. 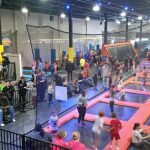 Each party package includes a host / party coordinator and ALL ACCESS wristbands to ALL the attractions at the 30,000 square foot, state-of-the-art Urban Air Trampoline Park. 3 affordable party packages to choose from! Let the party planners at The Friendship Factory Rochester take care of all the party details – from helping the birthday girl select a color theme for the party… to which craft and games will be played at the party! 3 party packages ALL include a craft expert to set up, run the show & clean up the mess. Review – pics. 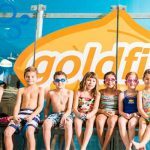 Goldfish Swim School offers Metro Detroit birthday party packages and pool party packages featuring their state-of-the-art indoor pool, pool party coordinator, lifeguards, goodies and more! Goldfish Swim School in Rochester takes care of all the details for a perfect pool party for a child’s birthday. Review – pics. 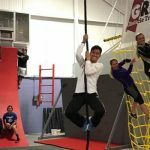 Birthday parties at Gymnastic Training Center offer inflatable bouncehouse fun, foam pits, Tarzan swings and more at their gynastic birthday parties. Gymnastic Training Center offers to take care of the hassles to keep the birthday party plans stress free for parents and fun for kids. Your choice of a giant indoor playground, dance studio parties with disco balls and concert lighting, sports parties in the fieldhouse, and more. All parties come with a large party room complete with a kitchen! Review – Pics. 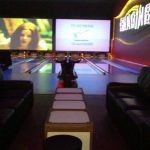 If you’re looking for a bowling birthday party for kids in the Rochester, Rochester, Hills, Troy or Lake Orion area, look no further than Avon North Hills Lanes. Avon North Hills Lanes offers bowling birthday party packages that feature bowling, pizza, a large birthday party room and staff on-hand to clean-up and make your party experience convenient. 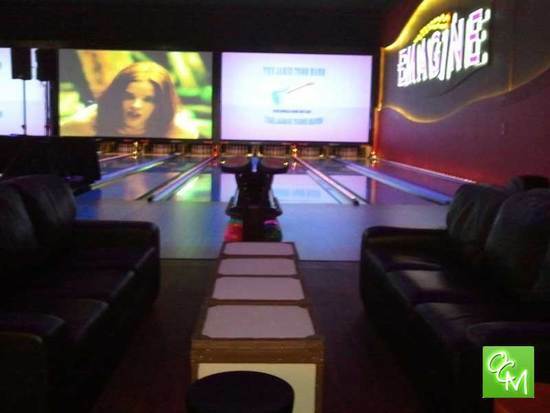 Movie birthday party packages OR bowling birthday party packages at Emagine Royal Oak Theatre and Star Lanes! You can even combine them in an Ultimate Birthday Party 3 hour package! Details. 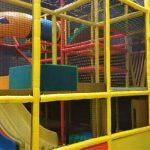 Access to both of the huge inflatable adventure rooms bursting with six inflatables and the party room to enjoy cake and your choice of foods (yes, you can bring food). No need for treat bags; they can provide for your guests: Make-A-Bear, cotton candy, pucker powder, popcorn, hotdog steamer and face painting. 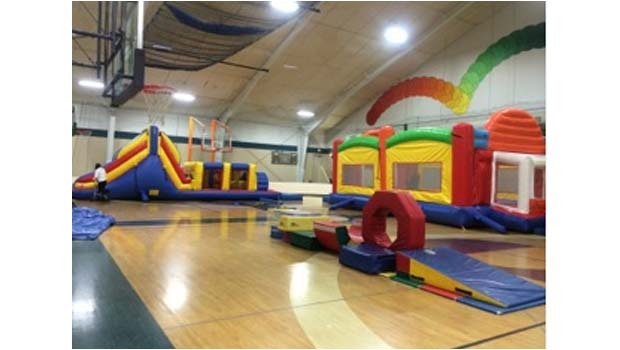 Or you can rent them to make YOUR locations the best Metro Detroit birthday party places for kids Looking for a place to party for that tween, teen, sweet sixteen or school/sports group? They can customize the facility for your birthday party event. Roller Skating birthday parties, Bounce Zone birthday parties! Let the staff assist you in hosting a fantastic party at The New Rink. You can even host a private party by renting the whole facility. Private rooms available too. Details. 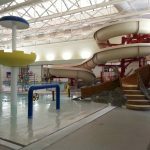 Franklin Athletic Club in Southfield, Michigan hosts birthday parties and other party celebrations at their 225,000 square foot facility! 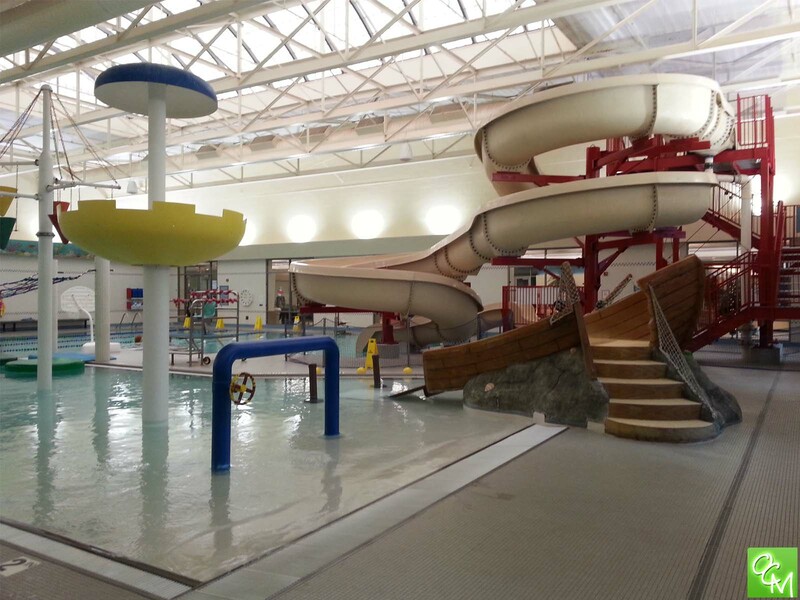 Kids and adults can enjoy Franklin Athletic Club’s two full-size gyms, indoor and outdoor swimming pools, overnight slumber party accommodations and 25 years of birthday party hosting experience. Choose inflatable parties, swim parties, basketball parties, overnight parties and more! Awesome themed birthday parties for kids of all ages! Enjoy Troy Community Center pool parties with the Splash Bash Party, open gym games with the Gym Party, a live animal show with a Critter Party, magical crafts with a Fairy Party, or a Video Game Party complete with 2 hours in a video game truck! If your child loves gym class, they’ll love a birthday party package at Elite Sportsplex! Guests will have plenty of room to run in this 75,000 sq ft, air conditioned, state-of-the-art facility. Party Packages include Basketball, Volleyball, Soccer/Futsol, Dodgeball, or multi-sports. Name your sport and Elite Sportsplex has a birthday party package just for you. Host a birthday party in a fun party room with adoptable cats & kittens! MeowTownLounge has birthday party packages complete with a party favors, board games, and plenty of time hanging out with cats & kittens. They even have a party host available to keep the party going and answer questions about the cats. 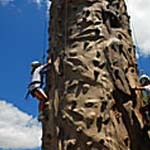 TreeRunner West Bloomfield offers birthday party packages for kids, teens and adults ages 3-adult. 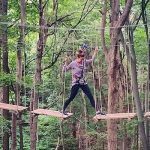 This is THE Michigan Adventure Park to experience “adventure in the trees” on your own or with friends, family and parties. Ages five to adult. Review – pics – video. 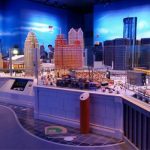 See related posts below for more Metro Detroit birthday party places for kids!